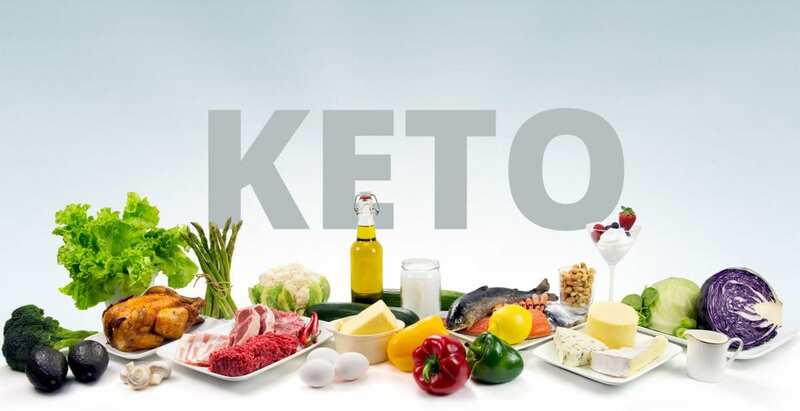 KETO DIET- Is It For You? | Talk 'N Share – Healthy Eating = Good Health! KETO DIET- Is It For You? WHO DOES THIS DIET BENEFIT AND WHY? We have been hearing a lot about how healthy a ketogenic diet is for EVERYONE– but is it really? I recently discovered that there are a lot of folks who, like myself, are carbohydrate intolerant and many have formed groups and help each other in many ways… thus this study and my discoveries, and yes, if you get down to those last few pounds and they just won’t go- before you visit Sono Bello to have that fat sucked out and get rid of it that way, do give this diet at least a 2-3 month trial period. Nick is the awesome guy who has created the article above and even tells us about himself. He has 14 categories in his blog including Recipes and Nutrition, so you might enjoy checking them out. In the distant past I did well eating a low carb diet- then I stopped losing even though I still had fat- especially in my tummy and my doctor said I had about 15 more pounds to lose. I finally got some KetoStix and discovered that I can only tolerate 10-15 carbs a day– YIPES!!! QUESTION– HOW CAN ANYONE LIVE ON THIS?? OK- Scrambled eggs with cheese for breakfast, bulletproof smoothie for lunch and a salad for dinner that includes meat, cheese and eggs– BUT– for how long- forever might not be a great idea– Then I discovered that there are not just a few that have my problem, but thousands- WOW!! Thankfully there are now tons of recipes that are yummy, made with ingredients we can have and will make us forget we are so limited! Also there are companies ready to assist those of us who, for whatever reason, can’t make our own special dishes at home! I am finding these advertised as Paleo- Keto- and Low Carb. We must still check ingredient labels but there are some great things out there! THIS PAST WEEK I saw a video from a doctor who was discussing our THYROID and what he had to say made a great deal of sense to me, so instead of asking my doctor for a refill, I got some Armour Thyroid. I will check with my doctor and have a blood test in a couple of months to see what he has to say, and by then I should know how I feel and what I think. It seems our thyroid has a lot to do with this weight problem that requires us to eat so very low carb and can possibly be corrected even though all doctors don’t believe the same way about it, but I think it’s worth a try. This is going to take some time, and some of you may want to know what I’m doing and what is happening, so I will publish this now and update it as I work through it. MY GOAL is to get into ketosis, lose the excess tummy fat, then raise my daily carb allowance until I can eat the way I did in the distant past, which is the way I tell my readers who follow my EAT HEALTHY! page. We love Dr. Mercola and have become aware that he too, recommends this way of eating for those who need it and has quite a number of articles that is sure to amaze many. He also is giving us some yummy recipes– I want to try the garlic mushrooms! You may wish to visit his site and see everything he offers- here is the main recipe page. NOW- HERE ARE SOME YUMMY AND GREAT FAT BOMBS!! By Martina Slajerova THANK YOU Martina for making some very yummy things available to us! Jeannie here– Some of her recipes call for artificial ingredients which to many of us are chemicals, but since you can substitute and since she is so great overall, we are including her here. From Louise- What Are Ketogenic Fat Bombs, How To Make Them in 3 Easy Steps (PLUS 12 Ketogenic Fat Bomb Recipes) THANK YOU LOUISE! This entry was posted in Uncategorized and tagged Fat Bombs, Keto, Keto Diet, ketogenic, ketosis, KetoStrips, low carb, Low-carbohydrate diet. Bookmark the permalink.